I recently reviewed two fragrances (Acquasala and Camaheu) from Gabriella Chieffo, a niche perfume line based in Italy. This week I tested the remaining three, all released in 2014: Lye, Hystera and Ragù. Yes, let's get those names out of the way: they don't necessarily transfer well into an English-language context. I tried to concentrate on the actual fragrances, instead. Lye is inspired by memories of laundry day: "The smell of the sun drying the clothes just hung out...Ash, like alpha and omega, become real protagonists in this fragrance. Lye, used once to whiten, to clean, dramatically returns to our fragrance memory, evoked by a unique and absolute scent." This fragrance includes notes of bergamot, lemon, incense, iris, leather, patchouli, opooponax and vanilla. It's described as "woody" and "spicy," but that doesn't sound quite right to me. Lye doesn't smell spicy, nor clean, for that matter. Its combination of dusky iris, soft leather, sheer incense and a sweet vanillic note reminds me of of L'Artisan Parfumeur Traversée du Bosphore, although it feels a bit less lively and nuanced. Lye has impressive intensity and longevity; it would feel almost cozy in cold weather, although it's a little heavy for summer. Hystera is a fragrance "born in the depths of the soul, a hollow soul that fills with the flow of life. It is pain and birth, union and separation, melding and tearing, and heartrending love that creates and continues its own self, giving new meaning." It was developed by perfumer Luca Maffei, and its notes include clary sage, bergamot, iris, vanilla, patchouli, labdanum and cashmere wood, with notes of clary sage, bergamot, iris, vanilla, patchouli, labdanum and cashmere wood. Hystera is listed (accurately) as "aromatic" and "woody." It starts with a nose-tickling herbal accord before it segues into a plum-tinged, earthy patchouli and a dense labdanum that smells almost animalic (like dirty hair?) until it dries down and mellows into a sweeter, woody resin that lasts and lasts. I don't quite grasp Hystera's allusions to birth and the womb (hystera is the Greek word for "uterus"), but I was intrigued by it. In Ragù, Chieffo evokes the preparation of Sunday family dinner: "Care and patience creates the goodness that is savored with all the senses: the red of caramelised tomato, the intrigue of black pepper that tickles the nose and the mind, the tactile freshness of basil leaves." 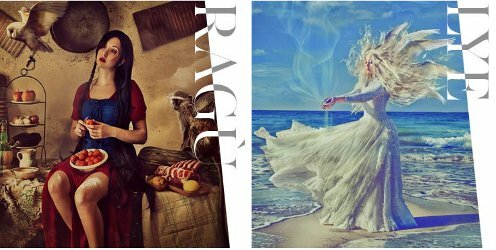 Ragù was developed by perfumer Luca Maffei and includes top notes of orange, pink pepper and bergamot; heart notes of black pepper, cloves, nutmeg, cardamom, elemi and saffon; and base notes of cashmere wood, leather, cedar, musk, patchouli and nagarmotha. It's really too bad that Ragù's name may remind many American customers of cheap tomato sauce; in any case, it doesn't smell like spaghetti and meatballs at all. The spices are all there: a smooth pepper, bitter green leaves, some piquant clove, but certainly no tomato. This fragrance's later phases are even less food-like. Its leather is dark and almost rubbery, and its woods are dry and smoky. Ragù is the most typically masculine of the five fragrances in this collection, although it's not really "typical" in any way. Have you tried any fragrances from Gabriella Chieffo, despite their slightly off-putting names? What did you think? 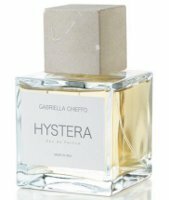 Gabriella Chieffo Lye, Hystera and Ragù are available as 100 ml Eau de Parfum ($170) via Indigo Perfumery in the US, Bloom Perfumery in the UK, First in Fragrance in Germany or the Gabriella Chieffo website. Samples are also available. I haven’t tried any of Gabriella Chieffo’s fragrances. None of the three sound intriguing to me. I prefer the two that you reviewed the other day. Smelling like “dirty hair” and / or tangy spices just doesn’t appeal to me in a fragrance(s). The reviews were quite interesting, though. Camaheu, Lye, and Acquasala are most “me” — but I respect her/them for including some odd woody/spicy blends, rather than rounding out the line with a straightforward citrus or, heaven forbid, an “oud”!! While it would inevitably be considered too on-the-nose, I’m kind of sorry to hear Ragù isn’t a tomato gourmand. Not that I’d want to smell exactly like actual tomato sauce, but I’m sure the right creative mind could come up with a way to make it work. Still somewhat interested in trying Ragù, though…. even though I’m certain I’ll never encounter it. I agree there is still room for a savory tomato-based fragrance somewhere out there (not tomato leaf). Didn’t the original Demeter line include a Tomato scent? It was fresh and garden-y, though, not savory! Demeter says that its Tomato Seeds fragrance “is the smell of the seeds and the gelatinous stuff that holds them in place inside the tomato,” and that its Tomato fragrance is the scent of tomato leaves. I have a bottle of Demeter Tomato, and it’s definitely leaf, not fruit, though on occasion, if I look for it, I can convince myself there is a hint of the fruit note in there. I didn’t know they had one called Tomato Seeds.